You are sleeping and having a dream. You wake up and for a brief moment(a couple of seconds) you remember it and then it’s gone forever. Your dream just vanishes in thin air. The same thing happens to your ideas. This all has to do with our memory. As humans we have immediate and long-term memory. It’s the same way with computers, they have RAM Memory and a hard drive. When you wake up from a dream you are granted access to your memory but the command for it to be deleted has already been initiated. Yes we have a very good long-term memory but there is a very good filter applied to it so not everything is going there. What about ideas? They form in our immediate memory. Scientists say we can hold from 5 to 9 thoughts in our short-term memory at any given time. Your idea is one of these 5 things and it is going to dissolve very soon. Since ideas come at the most unexpected places and times you will rarely have the chance to act upon your ideas. Your brilliant thought is going to be replaced with something else, something less important. So what do you do? How can we preserve the idea and transport it to the long-term memory so we can build upon it later? That’s the wrong question. We don’t need the idea in you long-term memory, this place is already having trouble with low disk space, deleting childhood memories each second. Luckily for us we – humans have invented other ways to store memories. So what you really need to do is to capture your idea on such a device. These devices come in various forms. There are the analog ones – pen and paper, whiteboard, Moleskine… tattoos. And of course there are 2 million apps that can help you do that as well. As long as you are capturing ideas the method is not important. The real advice here is to develop a habit of capturing all of your ideas the second you have them. Save them before they dissolve! The only thing left of an idea or memory that has disappeared is the feeling you had one. But when you try to access it you will receive an alert saying “Error, memory not found!”. Yes not all of your ideas are worth saving but this is something you can decide later. When you have the idea – capture it. You can organize your ideas and choose which are good later. This is probably the hardest part of it all. You are now reading this article and thinking “Yes, I have lost some ideas trough the years. This is a really good idea I already know that and should probably do something to capture my ideas.”. But what you probably don’t know is that this thought you have is in your immediate memory alongside 5 other things and it is soon to be long gone from your brain. So you need to decide right now! Are you going to form a habit to capture your ideas or not? If the response is positive then grab a sticky or any paper make a circle and write “Find an app to capture my ideas on regular basis” or “Buy a moleskin” or whatever your solution might be. Just do it! This is the first step towards capturing your ideas. I used “voice memos” for that and now I use Vidra which is not exactly for that but it has the features I need which are voice recording and drawing. When you capture just download, don’t think too much if this is a good idea. Or you might think otherwise that your idea is pure genius, it might be. Put it trough the test of time to figure this out. How many ideas do you have captured? 5? You can skip this step and go back to the previous point. You haven’t formed a good habit of capturing your ideas. So with time you capture lots of different ideas. What do you do with them? Well, it is not bad if you treat them like mail in your inbox. You have downloaded them successfully but now you have to add notes to some of them and archive and junk others. Keep things organized on a regular basis. 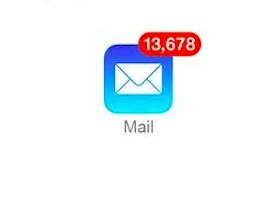 Unless of course you are one of those people who have 999 unread messages in their mail app. You have an idea that stands out. It has passed the test of time and you feel very good about it. You are also busy and can’t find the time to work on your idea. Guess what? That’s the lamest excuse you can have… Stop finding reason not to do your idea and just do it! The key is to just start and if you only have 20 minutes then good. Give those 20 minutes to your idea and tomorrow give it another 20 by the end of the week your idea will have been worked on for 2 hours and that’s a good amount to start with. Perhaps you can extend it without noticing from time to time but build a habit to work on your idea. Be from the people who find a way and not the ones that find excuse. Make a mind map or concept map of your idea (grafio does that very well). And just because you are working on your idea now doesn’t mean you have to stop capturing you other ideas.